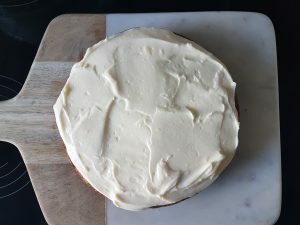 My gluten free carrot cake is light and fluffy, packed full of tasty pecans and filled with delicious cream cheese frosting. 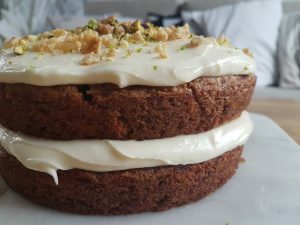 The sponge itself is lactose free and dairy free, so it could also be used as a base for a dairy free gluten free carrot cake if you adjust the topping. 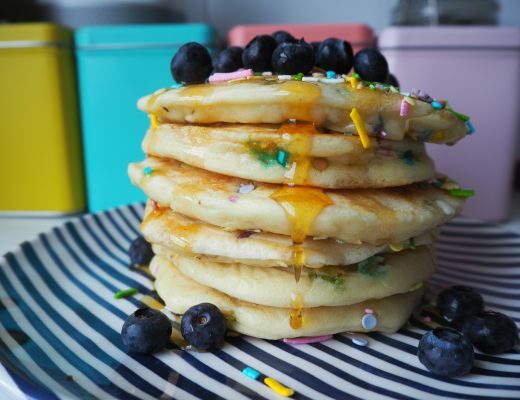 Lactose free bakers can simply use lactose free butter and cream cheese. 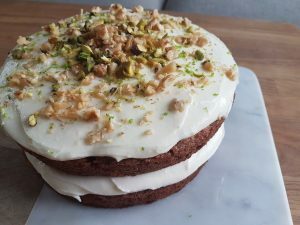 Dairy free bakers might consider a coconut-based frosting, which would go beautifully with the flavours and spices in this gluten free carrot cake. Preheat the oven to 170C (fan). 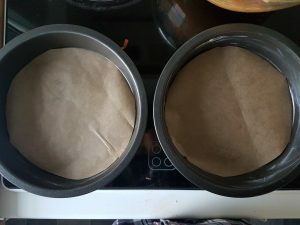 Take two cake tins (approx 20cm) and lightly grease the edges with butter or oil, then line the base of each with non-stick baking paper. In a large bowl, mix the eggs and the sifted light brown sugar until well combined. Add the sunflower oil, orange juice and vanilla essence to the eggs and sugar – mix. Now sift the following ingredients into the bowl: self raising flour, xanthan gum, bicarbonate, baking powder, cinnamon, ginger and salt. 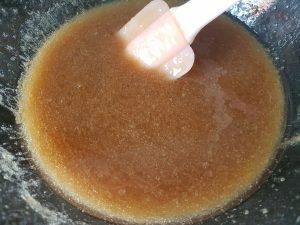 Use a wooden spoon or spatula to stir all together until everything is well combined and any lumps in the mixture have been smoothed out. 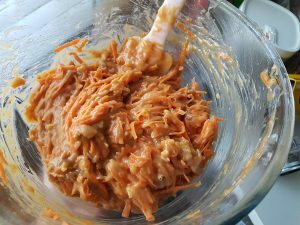 Stir in the grated carrot, orange zest and chopped nuts to distribute them evenly throughout the gluten free carrot cake mixture. 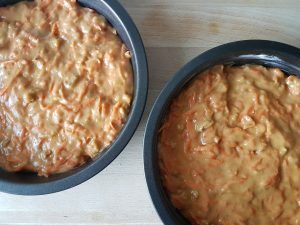 Divide the mixture between the two cake tins, using a spatula or spoon to gently push the cake batter to the edges of the tin. 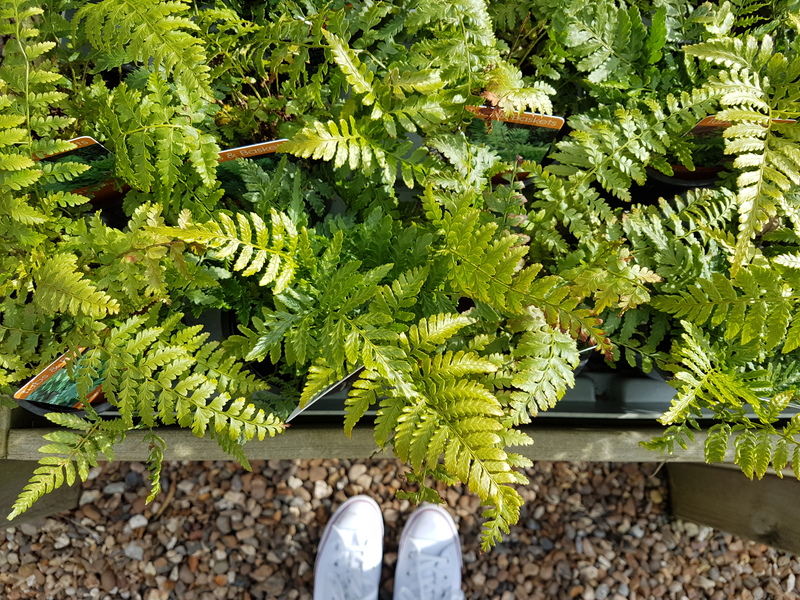 These go into the oven on the middle shelf, to bake for 30 minutes or until your cake tester comes out clean when inserted into the centre of the cakes. Remove from the oven and leave to cool in the tin for 5 minutes. 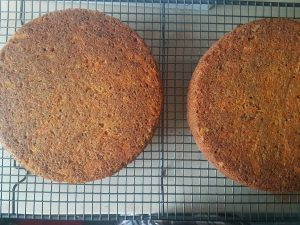 Then gently run a spatula around the edge of the tins before carefully tipping the carrot cakes out onto a wire rack to cool completely. 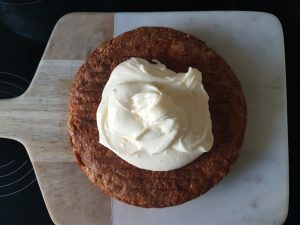 Once the gluten free carrot cakes have fully cooled, you can make the cream cheese frosting and start assembling the cake. 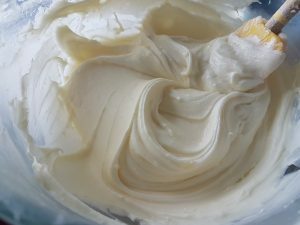 In a clean bowl, mix your butter with a wooden spoon or electric whisk until it is soft and smooth. 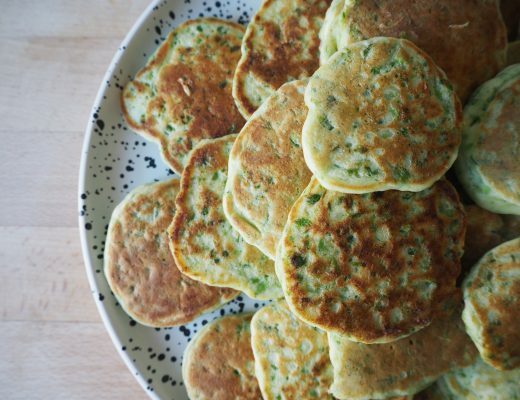 You should be using butter at room temperature – if too cool you can soften in slightly in the microwave on 10 second blasts (don’t melt it though!). Add the cream cheese to the butter and mix well to combine. Then you gradually mix in the sifted icing sugar – doing this gradually will help avoid any lumps forming. 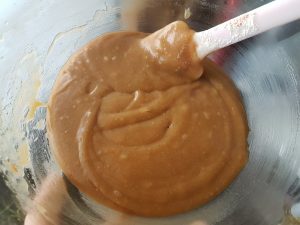 I would use a wooden spoon to initially mix the icing sugar in, then if you have an electric whisk this is handy for giving everything a final blend. You should end up with a lovely smooth frosting. Finally, add the lime zest to the frosting and stir it through until you have a nice even distribution. 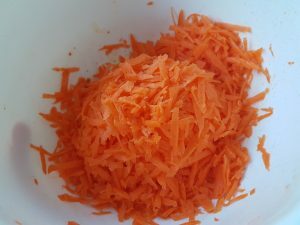 Now to assemble the gluten free carrot cake. 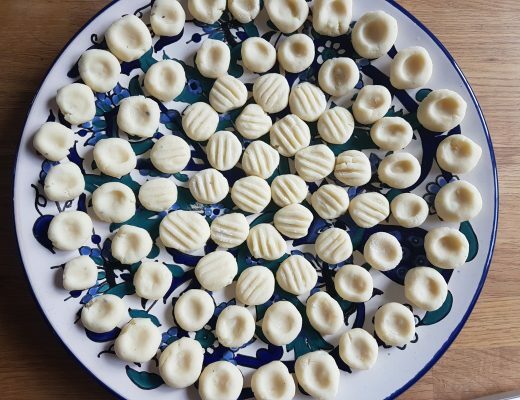 Place the first sponge on your serving plate or board and top with half of the cream cheese frosting. Use a palette knife to spread it right to the edges. Place the second sponge on top of the first and top with the remaining cream cheese frosting. Spread to the edges with a palette knife. 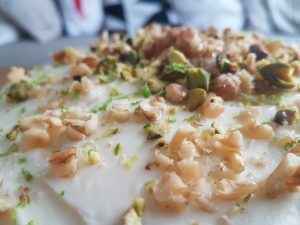 Sprinkle the chopped nuts of your choosing on top of the cake, along with the remaining lime zest. I like to concentrate the nuts in the centre then sprinkle them more sparsely around the edges, for a nice effect. 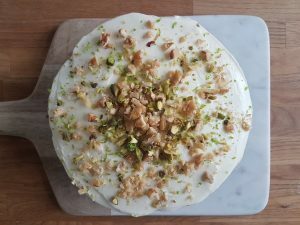 And there you have it – epic gluten free carrot cake that is ready for eating!